Move over, Birdman Rally. 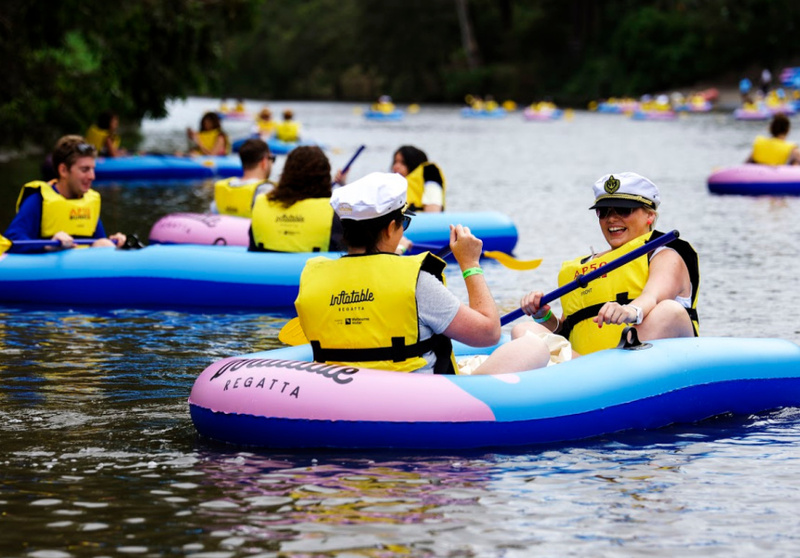 The funnest thing to hit the Yarra is back this summer. It's a story that will go down in Melbourne folk history. 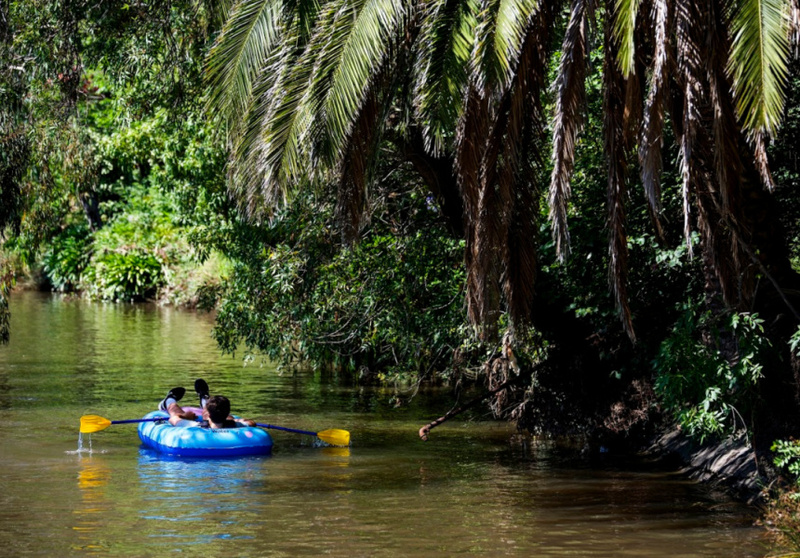 A dozen mates spend a lazy afternoon floating down the Yarra on inflatable boats. A good time is had by all, so a few years later they do it again with a slightly bigger crew. The following summer they plan it once more, posting an event to Facebook and leaving it open to the public. As the day nears, they realise 15,000 people have said they're going or interested. A mad scramble begins to get hundreds more watercraft, council approvals, safety equipment and everything else you need when thousands of people tell you they want to come boating with you and your mates. The incredible interest in that year's event meant the plug ended up being pulled, but lessons were learnt, and by 2016, the Inflatable Regatta emerged as a fully formed public event. Sponsored by Melbourne Water, the 500-odd tickets sold out in weeks, but its mad success, not to mention the simple joy of punting down the Yarra with your friends, meant the event had the makings of an institution. When it ran in February 2017, a secret floating stage greeted the thousands of floaters at the end of the course, and now, organisers are looking to up the stakes again. 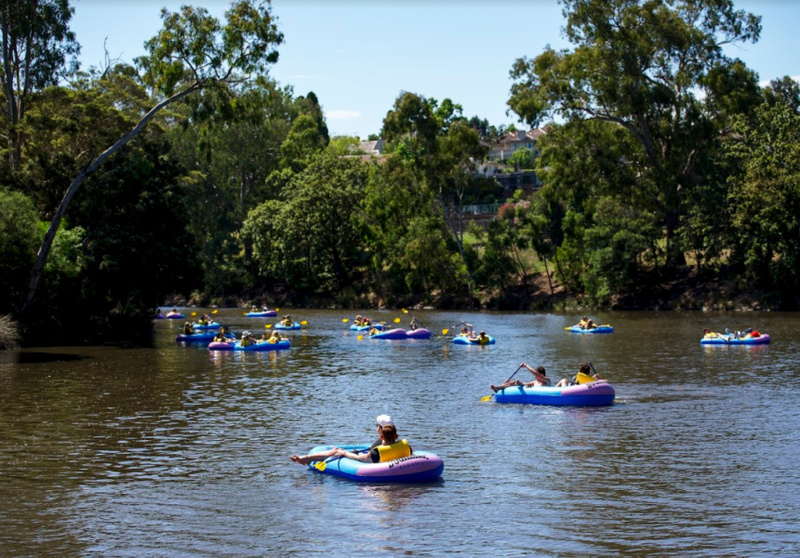 On Saturday February 24, 2018, 1500 inflatable boats will be pumped up to carry more than 2500 people down two kilometres of river from Richmond to Hawthorn. Entertainment is being planned for different points along the course, with stages set up on jetties and the riverbank. That said, music is just one component of what is, when it comes down to it, just a super fun day (if you've never been, make sure you have a flick through the images above to get a sense of what you're in for). Inflatable Regatta tickets are on sale now, with start times staggered through the day. Bands or musicians interested in being part of the day can email music@inflatableregatta.com to make a submission. This article was updated to reflect the events date change.